A new discussion paper was released today by Democracy Without Borders titled A renewed world organization for the 21st centry. It was authored by Andreas Bummel, co-founder and executive director of the organization. Following the publication of the book A World Parliament: Governance and Democracy in the 21st Century with Jo Leinen earlier this year, this discussion paper by Andreas Bummel elaborates on key elements of a future world organization resulting from a transformation of today’s United Nations. The paper was a contribution to the New Shape Prize awarded by the Global Challenges Foundation in May 2018. It was selected as a semifinalist and is now part of the Global Challenges Foundation’s New Shape Library. 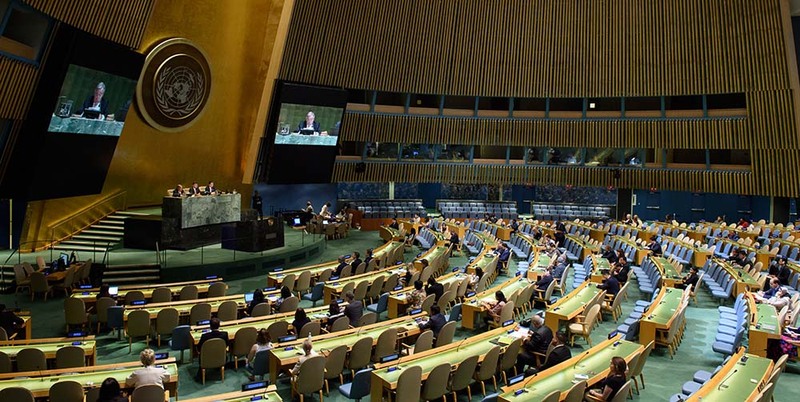 The paper proposes the creation of a World Parliamentary Assembly elected by the world’s citizens to work alongside the UN General Assembly as representation of UN member states. Together the two assemblies form a world legislature that is empowered to adopt framework legislation that needs to be transposed into national law and global regulations with direct and immediate applicability. It is suggested that different qualified majorities are required for regulation to pass. The delegates of the World Parliamentary Assembly form transnational political groups rather than national ones. A Joint Security Committee succeeds the UN Security Council, and its seats are elected by the World Parliamentary Assembly and the UN General Assembly. The UN’s secretariat and the administrative structure of the UN system are transformed into a World Commission, acting as an executive branch, with cabinet functions. The International Court of Justice is made responsible to oversee the World Commission, and to ensure that global legislation is in accordance with fundamental human rights and equally applied across member states. Member states are to contribute a uniform assessment of 0.75 per cent of GNI to a single, unified UN budget. For implementation, a UN Charter review conference and a comprehensive reform treaty are proposed. Image: Secretary-General António Guterres addresses the General Assembly meeting on the responsibility to protect and the prevention of genocide, war crimes, ethnic cleansing and crimes against humanity on 25 June 2018, UN photo by Loey Felipe.